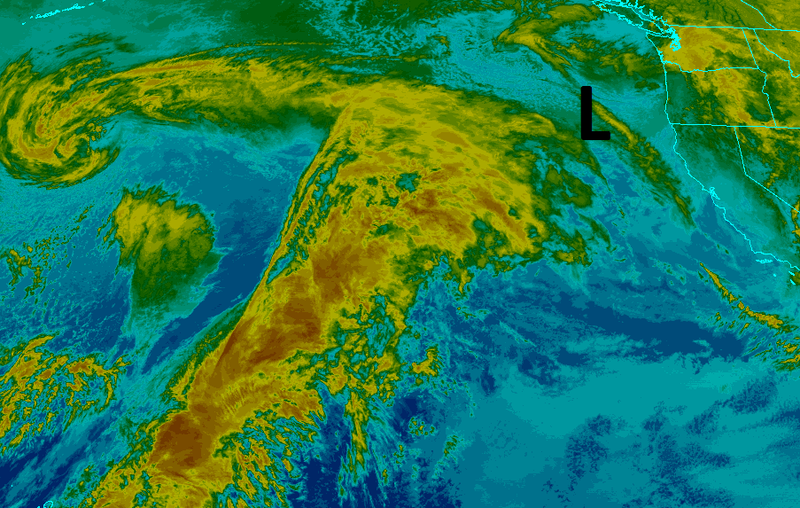 Tahoe is in the bulls eye of a very large storm that will tap into a moisture plume known as the Pineapple Express. Starting at 4:00pm tomorrow (Friday) it will start snowing in the Sierra west of Lake Tahoe. Snow levels will start at about 5,000 feet. That moisture will spill over to the Carson range around 8:00pm. Precipitation will continue as snow levels rise. This is going to be a rapid rise. By Saturday around noon, snow levels will be between 7,000 and 8,000 feet. Those levels could reach 10,000 feet as warm moist air is sucked out of the Pacific moisture plume stretching from Hawaii to Northern California. At about 4:00pm on Saturday, a deep rich wave of moisture will enter the Sierra and Carson Range. This is where snow levels could reach as high as 10,000 feet and this storm could bring heavy rain to both the Sierra and Carson Range. Heavy moisture will continue until about 4:00am Monday morning for the Sierra and Carson Range. Gradually snow levels will fall again and come back below Lake Level by mid-day Sunday. Once this storm passes, around mid-day Monday, our temps will begin to warm. We should be in the 50's and low 60's through next week and next weekend. More storms could be in the cards but the Jet looks like it is moving to our north which will usher in the warm air. There are parts of the High Sierra Crest, over 10,000 feet that could pick up between 4-7 feet of very wet snow. My best guess for the Carson Range, above 8,000 feet is between 18-36 inches of snow. All of this depends on the snow levels. The snow to water ratio is going to be very low. 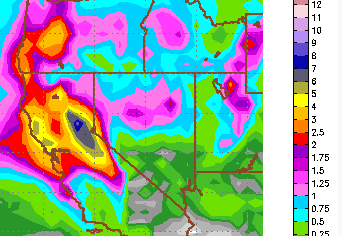 Some areas north and west of lake Tahoe are looking at 8-9 inches of liquid precip. The western crest is looking at about 6-7 inches while the Carson range is in the 3-5 inch area. These are lower amounts because the models completely fanned on the first storm which only grazed us and cut south to the Central Sierra (where they need it more than we do). These next waves will not miss us. The only question is how much snow? More storms could be on the way for the middle of next week moving forward.